The new Blackmagic Cintel film scanner includes the most advanced Image Mill image processing Cintel has to offer, built right into the machine itself! This means you always have powerful grain reduction and optical stabilization technology available, making the Cintel scanner a perfect choice for historical archive conversions and restoration projects. Cintel’s ultra thin size means you can install it desk mounted or even wall mounted. There are even multiple accessory mount points for adding audio pickups or key-code readers. Now you can purchase your own scanner so you don’t have to transport precious film out of house to be transferred. The Cintel film scanner lets you produce stabilized, grain reduced files that are ready for digital restoration and mastering. Nothing looks more like film than film does! The look of well shot 35mm film is unmistakable and it’s what all digital cinema cameras strive to emulate. When you shoot on film, you are not locked into a single look because you can pick a range of film stocks that totally alter how your images will look. Even today, with the most amazing digital cinema cameras available, some of Hollywood’s biggest filmmakers still prefer to shoot on 35mm film, not only because of it’s sharpness, dynamic range, and colorimetry, but mostly for that classic film creative style. Unfortunately in the past the cost of post production involving film was high. Now the new Cintel film scanner eliminates this high cost because it’s a complete low maintenance design you can install and operate yourself! Designed to hang beautifully on your wall, the Cintel film scanner is constructed using aircraft design techniques for a stiff and vibration free main deck so you get smooth film handling. The core chassis has been designed as a super rigid structural space frame, which results in a design that’s dramatically lighter than an older simplistic heavy plate design. This means the Cintel scanner is light enough to be wall mounted in your facility, making it part of the environment of your color correction suite. Being super thin and wall mounted, it’s out of the way until you need to use it, and then it springs to life and performs! 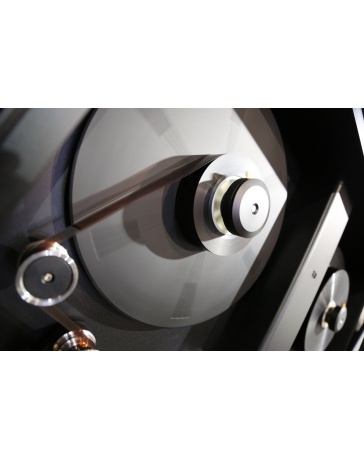 Whether wall or desk mounted the innovative design includes sliding doors, built in cleaning rollers and new digital servos to keep your film clean and ensures handling of valuable negative remains gentle. The new Cintel film scanner is an innovation in technology. 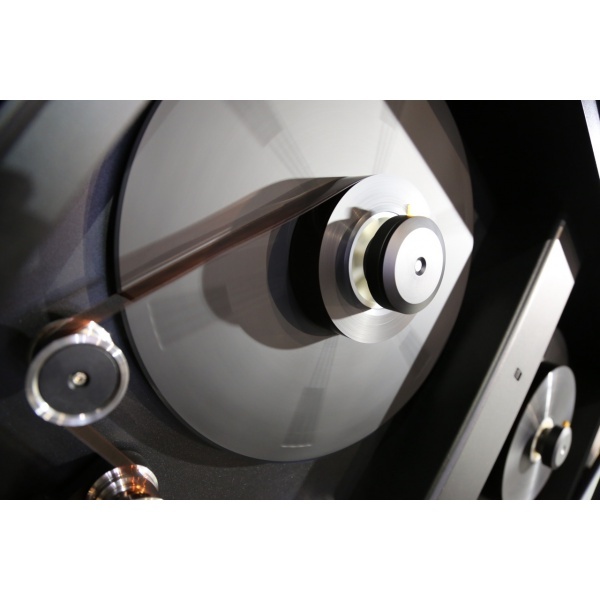 Film traditionally has been a mechanical technology and film products have suffered from poor quality electronics that required experienced engineers to keep them working. The Cintel scanner has been designed with the latest Blackmagic Design image processing technology and features a Thunderbolt 2 connection so you can connect it to your Mac and scan the film directly into your color correction system. That makes setup and use extremely fast plus eliminates slow file copying after scanning. Because Cintel is a Mac OS X Thunderbolt 2 peripheral, you get easy to install software updates that add new features and it also means you can even upgrade your computer whenever you need! The Cintel Film Scanner is the world’s first real time 4K film scanner to use Thunderbolt 2, making it super easy to set up and install. The new diffuse high intensity light source means the Cintel scanner runs at a smooth real time speed keeping film handling gentle and transfers super fast. The Thunderbolt 2 connection features a massive 20 Gb/s speed so you can transfer all this data direct into your computer without quality limitations. You can even change computers simply by unplugging the single Thunderbolt cable. If you’re wall mounting then you can use the longer 30 meter Thunderbolt cables to connect to your grading computer even when hiding the cabling in the wall. With the Cintel scanner, you get the high resolution of a film scanner with the real time use of a traditional telecine! The Cintel Film Scanner features a super bright spherical RGB LED illumination and an extremely sensitive imaging sensor. That means you get high quality scans that are super sharp even when running at full real time speed. The spherical RGB LED illumination ensures your priceless film is never exposed to unnecessary thermal stress and color fading effects of traditional scanner lamps. In addition, Cintel’s patented diffusing sphere technology reduces the visibility of dust and scratches, giving you stunningly beautiful film scans every time. If you’re looking for super stable scanning then the optional pin registration gate means you can run non real time frame by frame scanning and get even tighter stability than possible when running real time! The Cintel film scanner is easy to set up and configure thanks to it’s Thunderbolt 2 interface. Simply connect the scanner to your Mac OS X workstation, install the software, and start scanning! That means you don’t need a dedicated engineer to operate and support the scanner. The Cintel scanner has been designed to give you the freedom to move it between machines or even plug into laptop computers so you can scan your film directly into the computer you’re going to use the content on. The HDMI output supports Ultra HD televisions for perfectly accurate focusing and film alignment using a local monitor. The HDMI output can even be converted into SDI video using Blackmagic Mini Converter HDMI to SDI 4K, perfect for connecting into your system for client monitoring! Using the Cintel film scanner is easy and intuitive. You get scanner control software for your Mac that includes everything you need to transfer and capture films to Ultra HD or HD files. Scanned files can also be opened with DaVinci Resolve for further color, restoration and mastering work. In the past when film was the main way to get high quality images for post production, Cintel telecine’s and DaVinci color correction was the standard combination used worldwide! Now these two wonderful brands are back together again because the Cintel film scanner includes a full copy of DaVinci Resolve software! Now you get full color correction features included so you can take advantage of the Cintel scanner’s amazing image quality. You will never be limited creatively by your equipment because you’ll have incredible film looks combined with the same powerful color correction toolset used by the world’s leading cinematographers!